During this years Abandon Normal Devices festival, White Mountain will be screened alongside a preview of new project When Objects Dream, a film in collaboration with Ben James as part of the Rare Minerals programme. Please join myself and Ben James for the film screening and Q&A. The festival runs from the 21st-24th September in Castleton, Peak District National Park. White Mountain is programmed in the official selection at Sheffield Doc/Fest 2017. The film will be screening in the Doc/Visions Shorts category on Monday 16th June at 18:30 and has also been nominated for the in competition section - New Talent Award. Very please to be part of this exhibition at HKW, Berlin. 'Nervous Systems' is part curated by Tactical Technology Collective, an organisation seeking to promote the use of digital technologies in activism. Opens 11th March! Delighted to be nominated for the Magnum Graduate Photographers Award 2015! First show of 2015! By Set Square, Compass and Eye — Emma Charles and Alicja Dobrucka. Opens in a week at South Kiosk! I am very pleased to announce the opening of my solo show 'Surfaces of Exchange' at Jerwood Visual Arts Project Space, London. Private view Tuesday 14th January from 6.30pm! 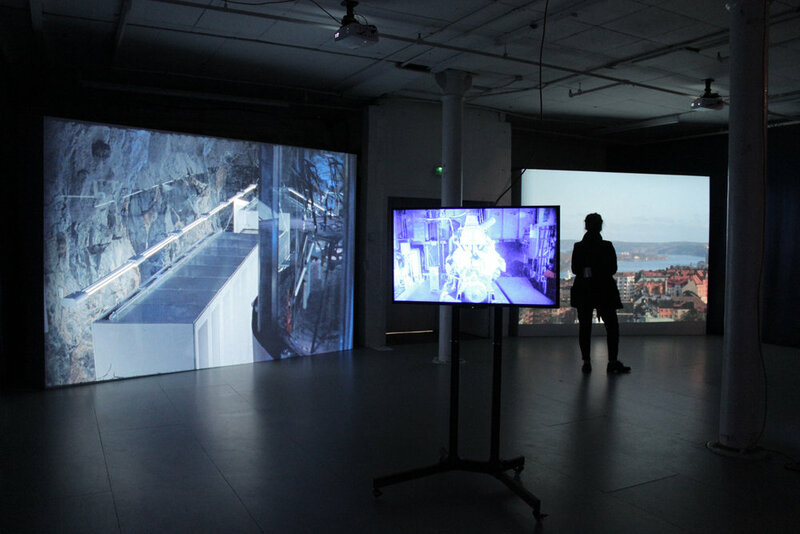 Fragments On Machines will also be screened at a one-off event on Friday 28 February 2014 from 6 – 8pm as part of SLAM Last Fridays.